The first standalone release of 5G has been finalized, paving the way for mobile operators to launch commercial networks as early as later this year. The 3GPP has approved completion after 34 months of work and discussions with stakeholders, including operators, device manufacturers, chipset vendors and Internet companies. A pre-standard release of 5G was made available late last year, enabling the industry to work on rollouts and trials. However while this standard used 5G New Radio (5G NR), it relied on an existing LTE network to function. “The 5G System specification has now reached its official stage of completion, thanks to the intense efforts of hundreds of engineers over the past three years,” declared Erik Guttman, chairman of 3GPP TSG SA. “The 5G System opens the way for commercialization of services based on the New Radio and 5G Core Network and their advanced extensible capabilities. 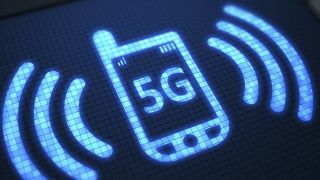 The first commercial 5G services are expected to go live next year, enabling ultrafast speeds, high capacity and low latency for mobile broadband, fixed wireless access (FWA) broadband and a raft of new applications such as the Industrial Internet of Things (IIoT) and connected vehicles. However the more revolutionary aspects will allow be enabled once operators reconfigure their core networks to be more software-based. This will allow them to move functions around their network, closer to customers, and allowing for ultra-low latency.